Double Eagle Resort & Spa– Welcome to the Double Eagle Resort & Spa! The Double Eagle Resort and Spa is a true four-season destination resort. We are located in June Lake, the “Switzerland of California”. 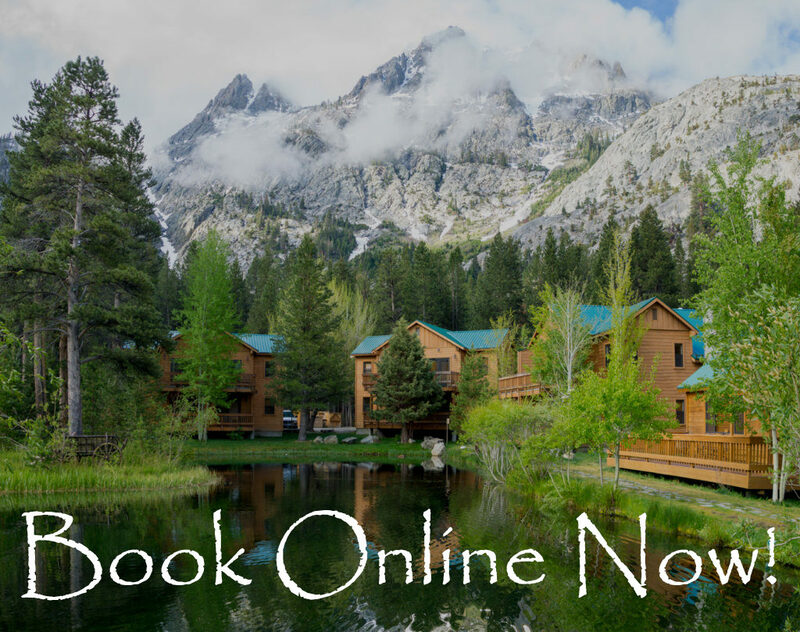 Come enjoy a blissful blend of comfort and adventure in the Eastern Sierra Mountains! Set your own agenda and pace. Whether you want to relax and rejuvenate, or have an outdoor adventure, you will find it at the Double Eagle! The Creekside Spa and Fitness Center is your center Fitness and Relaxation. We offer a variety of spa & salon treatments, fitness classes, and a full gym. The best part: as a resort guest, you can use the Creekside Spa and Fitness Center for free! That includes our indoor pool, whirlpool, and gym. You also get free attendance to any of our fitness classes. The June Lake Loop is full of activities and adventure for the whole family! You can go fishing, skiing, kayaking, and even horseback riding. And it’s always a short drive back to your cozy cabin at the Double Eagle. The possibilities are endless! See our activities page for other fun things to do in the area. June Lake is often referred to as “The Switzerland Of California”. It isn’t hard to see why. Take a walk surrounded by trees and streams, or just sit by the pond and marvel at Carson Peak. Soak it all in with one of the most relaxing experiences of your life. *If you are traveling from Yosemite National Park, please check the most current road conditions. **Ron’s Pond is catch and release only, with barbless hooks. Equipment is also available for rent.